The Rolling Supreme Medium Rolling Box is the next size up in the line of rolling boxes. 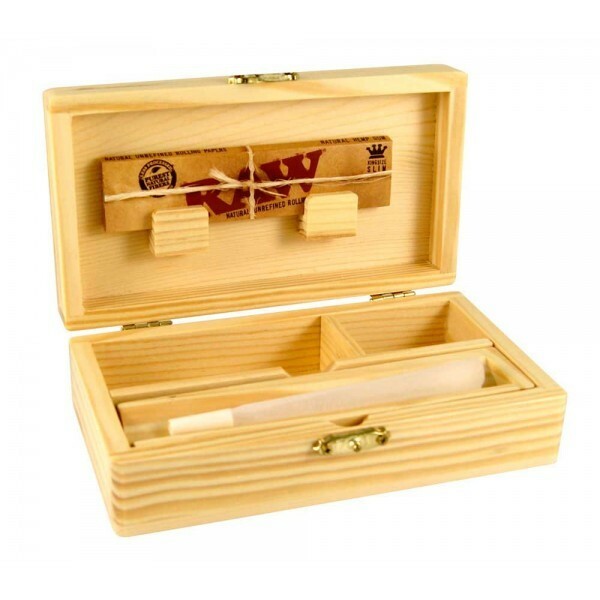 This 8.5cmx5.5cmx4.5cm wooden rolling box features three compartments, including the hidden compartment underneath the removable v-block. With all the rolling boxes, you get an incredibly handy "v-block" that removes from the box and allows you to roll your own cigarettes or cigars with ease. Easily fit multiple packs of papers and lighters in this amazing box! No more wasteful spillage's or mess, all over your lap. As the smaller of the two open topped 'Rolling Trays' this modal satisfies the needs of the most demanding smoker, whilst being compact, but still big enough for all your rolling equipment. Fits our Ember line of mini grinders. Contents Not Included!